In 2014, Osisko Mining Corporation, headquartered in Montreal, was considered the most important mining company in Quebec. Indeed, the Canadian Malartic Mine, where $1 billion had been invested, is the largest open-pit gold mine in Canada. The young company was no longer a junior-sized operator, having being in operation for the past three years, but not yet a giant of the mining industry. As the price of gold dropped significantly in 2013, the Company became an enviable acquisition for the major players of the gold industry. In 2014, a hostile takeover bid was made to Osisko Mining Corporation for 2.6 billion dollars. The company was not satisfied with the offer and started to look for a new buyer who could raise the bid. Two companies from Toronto, Agnico Eagle Mines Limited and Yamana Gold Inc., offered to buy Osisko Mining Corporation in a joint venture totalling $3.9 billion. The sale was accepted by the shareholders in May 2014 and concluded in June 2014. 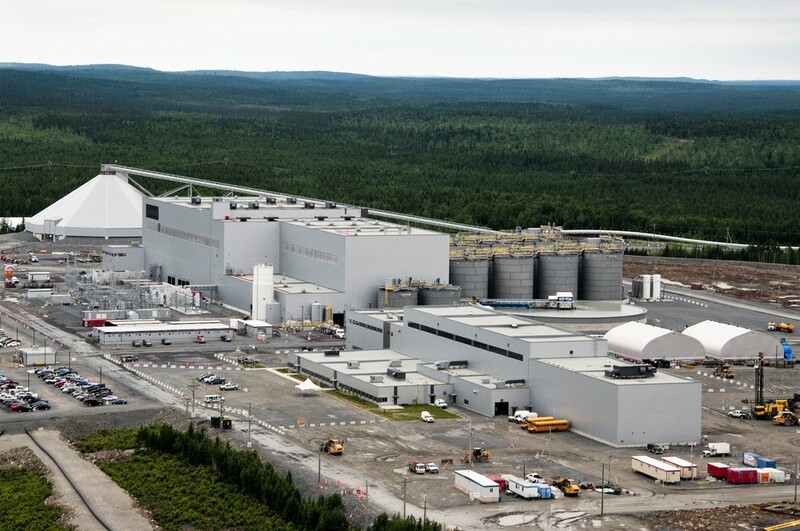 Agnico Eagle owns several mines in the Abitibi-Témiscamingue region and is well known by the population. Yamana Gold, which operate mines located in South America, establish its presence with the Canadian Malartic partnership. Canadian Malartic mine partnership logo: Agnico-Eagle Mines Limited and Yamana Gold Inc.